Help us to help Nepal. 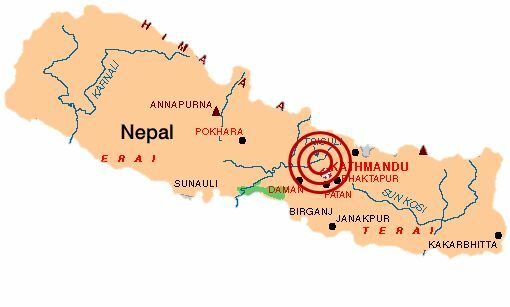 Following the earthquake that hit central Nepal with a force of 7.9 on the Richter Scale last weekend and the aftershocks and debris avalanches still burying people alive, the news are speaking of thousands of dead, missing and injured, overcrowded hospitals, and difficulty to get clean water and food to victims. Helpers expect similar destruction to Haiti in 2010. So it’s important that we take immediate and quick action to do something for the people there. Charity Cat has already donated 3,000 euros via the organization Humedica, who have already sent teams to the country to coordinate help and have been working in Nepal with a local organization for years. Want to help, too? We will collect donations and make sure they are used to help the people there in the best way! When making the transfer, you can tick the box “donation” or we will provide a receipt upon request. All donations received until 8th May 2015 will be sent immediately to Nepal via our partner organisations on the ground! Thanks in advance for helping to make a difference!